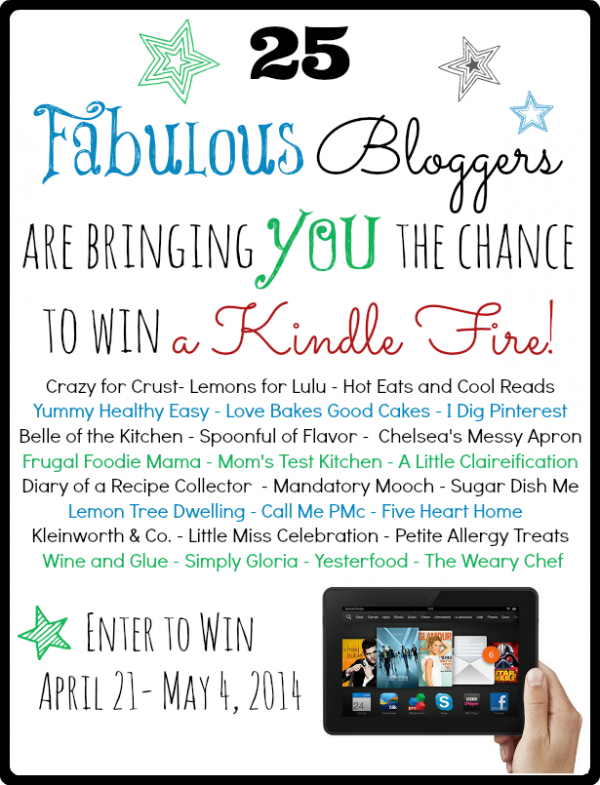 Today I have teamed up with 24 other amazing bloggers for a terrific giveaway. If you aren't already following these ladies on Bloglovin....you need to. They are a fun group of talented bloggers that will please your tastebuds. So what are you waiting for? Start following them and enter the giveaway for a Kindle Fire! !